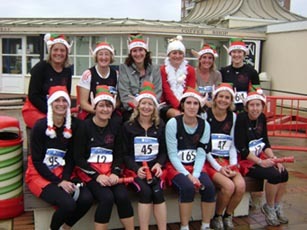 To get Christmas off to a good start twelve little elves from Mel’s Milers ran the ladies only 10k race along the seafront at Worthing. The red shorts and pointy ears got them noticed and did not detract from some good running performances. They also got a few odd looks in Costas afterwards !